These are the words of Kenny Hibbitt, a Wolverhampton Wanderers stalwart of the 1970s and 1980s – and a member of the last Wolves side to win a league fixture at Goodison Park fully 40 years ago. It was on 15 September 1979 that John Barnwell’s visitors prevailed 3-2, with the help of a debut strike from a player who would later earn a place in Evertonian hearts, Andy Gray. Everton’s goals came from Brian Kidd and a Trevor Ross penalty but Gray wrote the headlines, seven days after his arrival at Molineux from Aston Villa. Older Evertonians might be intrigued to note that the man Barnwell signed to supply Gray was Dave Thomas, a source of so many crosses for Bob Latchford during his days on the Everton wing between 1977 and 1979. However, Barnwell’s assistant, Richie Barker, objected to Thomas’s penchant for playing without shin-pads and in moulded studded boots. “He wasn’t settled because he didn’t want to wear pads and studs.” adds Hibbitt, today a Premier League referees’ assessor. As for Gray, after 38 League goals for Wolves, he signed for Everton in November 1983 whereupon history repeated itself. 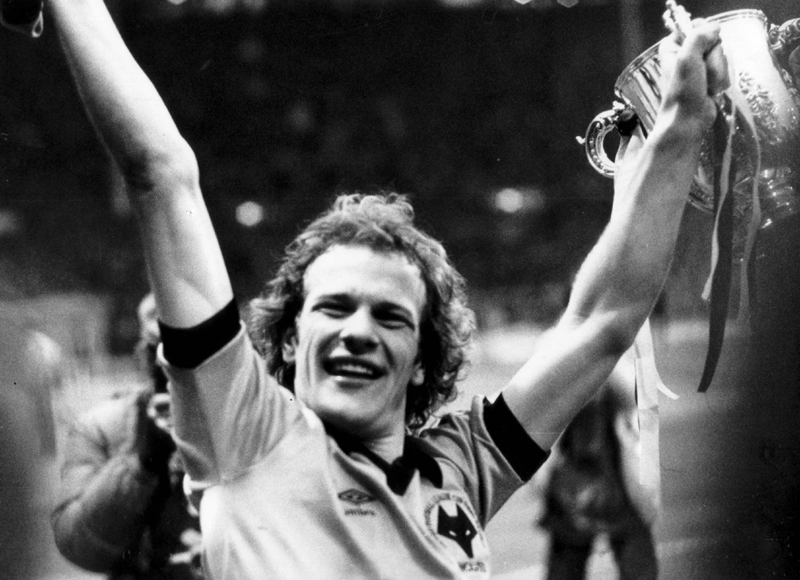 As at Molineux in 1981, Gray did not pass a medical – indeed legend has it pages from his medical history went flying out of the car window on his way up the M6 from the Midlands. 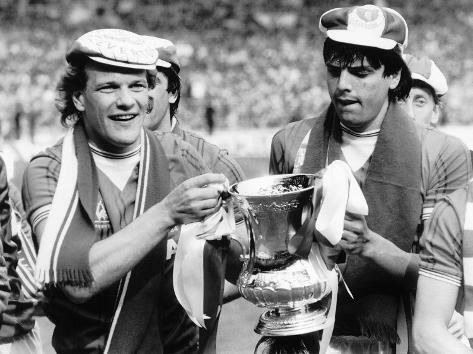 Moreover, as with Wolves, he ended his first season with Everton with a goal at Wembley, this time in the 1984 FA Cup final success over Watford. Andy Gray – a gamble that paid the richest of dividends.